For generations cheques, both large and small, have been vulnerable to copy but more regularly to alteration with the payee name being changed or the amount being increased. 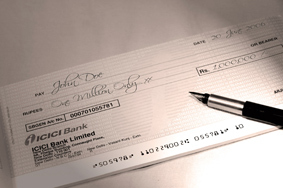 Cheque security is an important consideration across banks, government departments and multi-national companies. Security Foiling's solutions are securing cheques in Africa in over 280 locations.